Zoysia is a tough, hardy grass that thrives in a variety of conditions and environments. Its adaptability makes it ideal for home lawns because it requires little maintenance on the homeowner’s part and can withstand some extreme conditions. But did you know that Zoysia is also favored by golf course superintendents and caretakers of public lawns as well? Zoysia’s lush, carpet-like surface makes an ideal playing field for sports like soccer and football. It stands up to high traffic and damage and still requires less maintenance than other grasses. Zoysia grass is also ideal for playing surfaces because it doesn’t require the use of poisonous chemicals to prevent weeds and other intrusions – Making it a safe play surface for children and adults alike. Zoysia grass is an ideal choice for the National Mall because it can withstand the damage caused by heavy foot traffic. It also thrives in heat and stays healthy with little maintenance. Groundskeepers at Reagan National Airport prefer Zoysia grass around terminal buildings because it grows at a slower pace than other grasses and stays lush and green with little watering. The home of the FedEx St. Jude Classic, TPC Southwind uses Zoysia grass on many of its fairways. Amateur and professional golfers alike prefer playing on Zoysia fairways because the ball tees up nicely – Making shots easier. Course superintendents love that it can withstand extreme conditions with very little maintenance and still stay beautiful. Aside from these places, you’ll also find lush Zoysia lawns on the grounds of the FDA building and the US Court House in Washington DC and the Naval Academy Golf Course in Annapolis, MD. Zoysia grass as also been used as the playing surface of the Daejeon stadium in Seoul, South Korea during the 2002 World Cup. It’s that time of year again – The temperatures are rising, the days are getting longer and, here at Zoysia Farms, we’ve just harvested the first grass of the year. 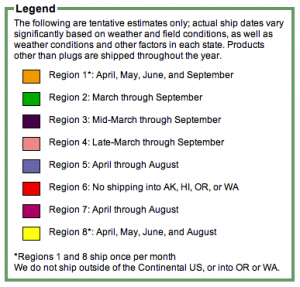 With spring just around the corner, people across the U.S. are placing their Zoysia orders. 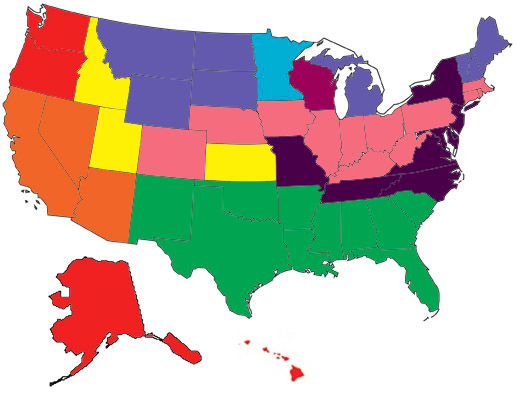 In fact, orders will begin shipping to warmer states in the next few days — Milder states, like Texas and Florida, should begin receiving their orders in early March. If you already have a Zoysia lawn, once the ground temperature reaches 50 degrees, your grass will begin to come out of its dormant state and return to its lush, green color. To keep your lawn looking its best, it may require a bit of spring cleaning. Removing dead leaves will help improve passage of air and nutrients to help your grass return from dormancy. Whether you’ve just placed your first order for Zoysia plugs or have had your Zoysia lawn for years, we’re sure you’ll enjoy your grass for years to come. Landscaping your yard is a great way to transform the surroundings of your house into a charming outdoor area for your family and friends to enjoy. 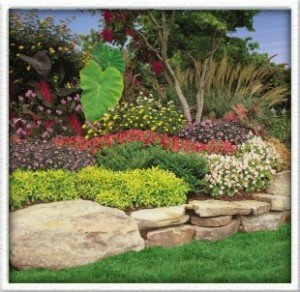 Give your yard a whole new look with landscaping and create your ideal personal space. Using several of these outdoor features can help distinguish your yard and give it a polished look for your entire home landscape. Yard landscaping can also improve the use of your outdoors and improve the value of your home. To find out more about adding to your Zoysia lawn, read about yard elements that can help beautify your home. 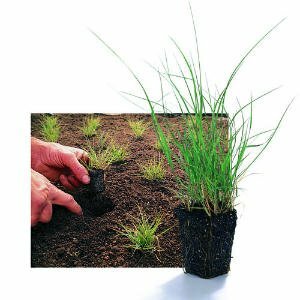 Once you’ve decided to grow Zoysia grass in your yard, it’s time to plan for planting and maintaining your grass plugs. Knowing the right tools and how to use them can help you create a luxurious lawn that is easy to maintain! Using the most efficient tools to care for your Zoysia lawn will save you both time and energy, while leaving your lawn in the best shape possible for you and your family to enjoy. Planting Grid – Create a planting grid to help aid you disperse your plugs during the planting process. Step-On Plugger – Cut away unwanted growth while digging a hole for your plugs. Amazoy Bulb Planter – Leave soil loose for easy planting of bulbs and plugs. Shears – Cut and separate Zoysia grass plugs. Easy Edge – Keep grass from creeping into walkways and flowerbeds. Read about the benefits of lawn edging. Gloves – Protect and cushion palms and fingertips while working outside. Moisture Meter – Use for on the spot moisture measurement. pH meter – Measure the acidity or alkalinity of your soil. Read about the benefits of monitoring your soil. Trowel – Use for moving yard material. Planting a new lawn takes time, but once your Zoysia lawn is established, you’ll be left with a green, lush, and cushioned lawn. 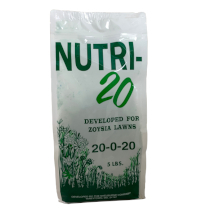 By following establishing your Zoysia lawn with regular care, you will keep it healthy and looking its best. While having a lush green Amazoy lawn is a great start, you may find that you want to add special elements to make your yard more appealing for outdoor activities. A yard with the right set up can be the perfect spot for hosting cookouts, family gatherings, casual conversation, or relaxing outside. 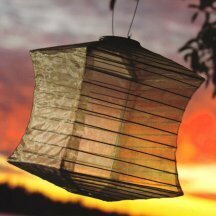 Remember your personal style, your needs, and the purpose of your outdoor space. With that in mind, you can express your individual style while still creating an amazing area. These elements can help you spruce up your yard and make it a more inviting, comfortable place. Bring your family together for outdoor fun any enjoy your Zoysia lawn. 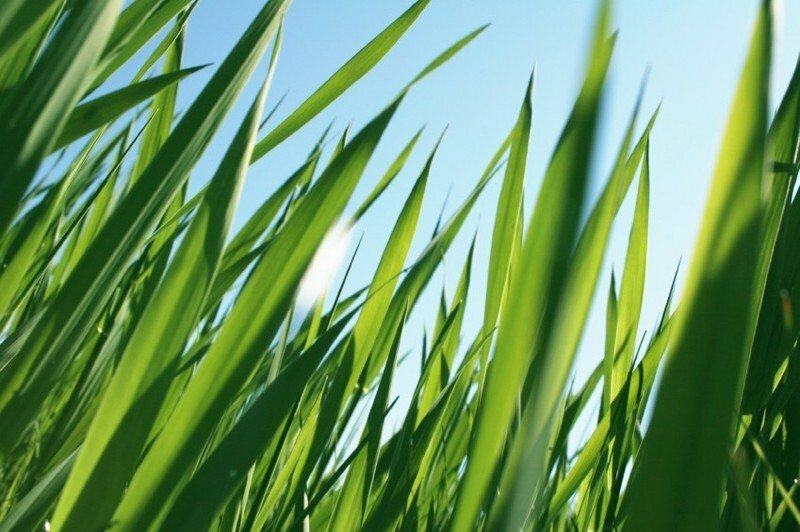 Read more about the benefits of Zoysia grass in your yard.